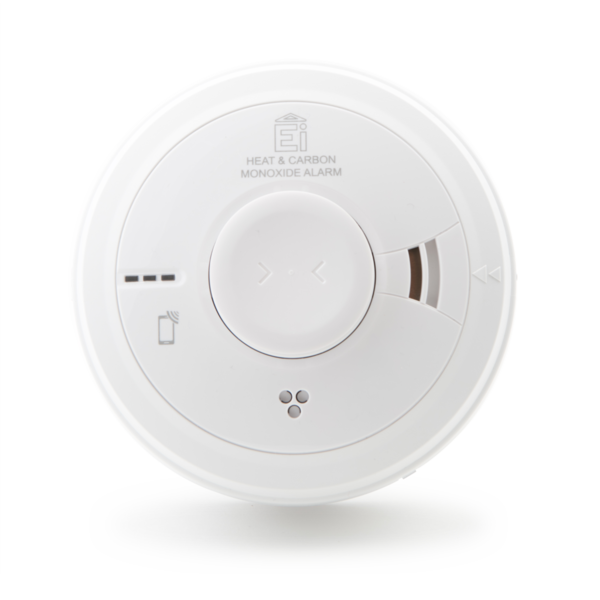 The Ei3028 Heat & CO Alarm is built with the same high quality, reliable and proven technology as in our other Heat and CO alarms but combined in one alarm and with advanced intelligent technology. There are a number of Fire & Carbon Monoxide (CO) risks within a typical home. For example, cookers in kitchens pose a fire risk, being responsible for 50% of accidental fires in dwellings*. In addition, many of these areas also contain gas fuelled appliances such as boilers which present an additional risk from CO – a poisonous gas that you can’t see, smell or taste. It’s vital to protect against both risks. 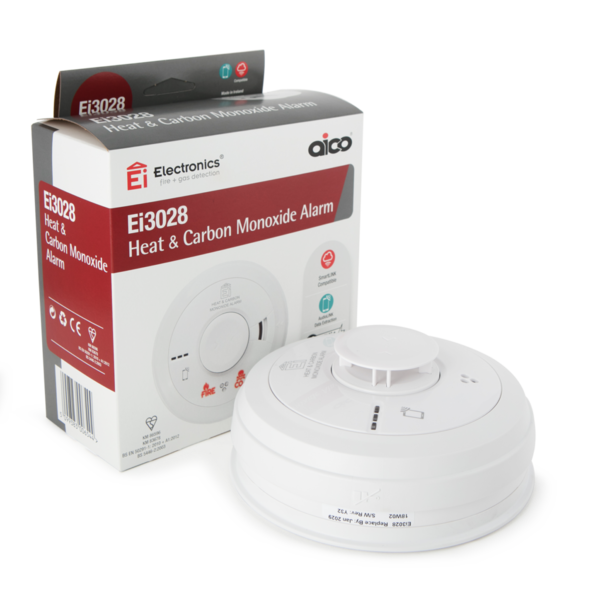 Previously the answer to this would have been to fit two alarms, a Heat Alarm and a CO Alarm, however this protection can now easily be achieved by using the new Ei3028 Multi-Sensor which detects both Fire and Carbon Monoxide in a single alarm. 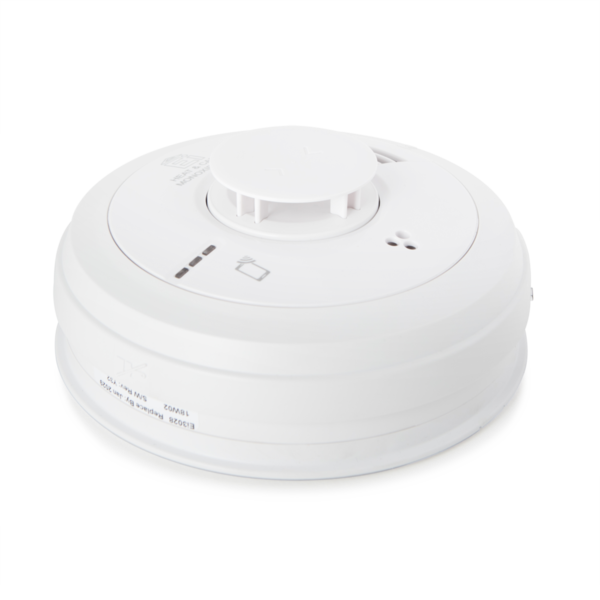 The Ei3028 Multi-Sensor Heat & CO Alarm contains our tried and tested thermistor heat sensor and our proven electrochemical CO sensor, providing protection from both Fire & CO. The alarm is built with the same high quality, reliable and proven technology as in our other Heat and CO alarms but combined in one alarm and with advanced intelligent technology. 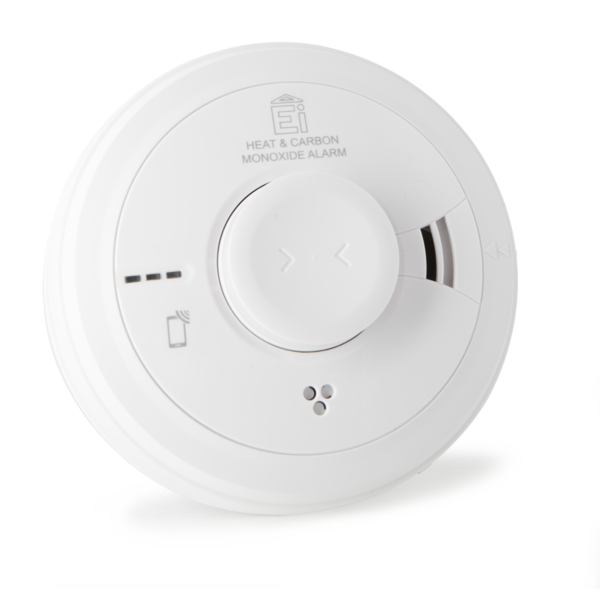 The Multi-Sensor alarm contains AudioLINK technology, which allows you to extract real time data from the alarm using its sounder directly to a smartphone or tablet via an App. A simple to read report is generated displaying details such as activation dates, sensor status and alarm life, that can be emailed to help form part of property records. 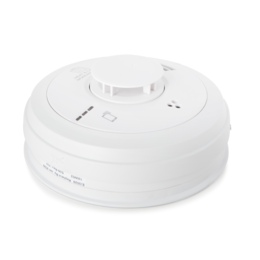 The Ei3028 Multi-Sensor Heat & CO Alarm is SmartLINK compatible, Simply plug in an Ei3000MRF module for wireless interconnection, data extraction and real-time notifications of alarm activations and events via the SmartLINK Gateway and Portal. 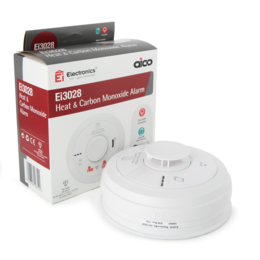 The Ei3028 Multi-Sensor Heat & CO Alarm is fully compatible with all other Aico alarms and accessories whether a system needs upgrading or an existing system needs expanding; and works with either hard-wired, RadioLINK or hybrid interconnecting systems. 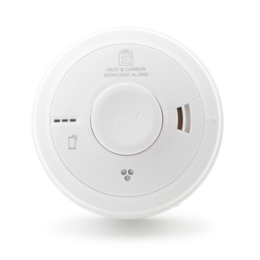 Contains both a Heat and Electrochemical CO sensor – Heat and CO coverage in one alarm. Compatible with SmartLINK interconnection and monitoring technology. Heat or CO indicator on alarm head. 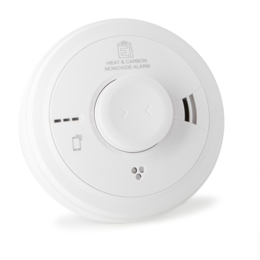 Silence Function : Silences alarm for 10 minutes if alarm is triggered by heat or once for 4 minutes in case of CO event. Green – power. Red – pre-alarm (CO only)/ alarm/ silence mode/ memory or battery event.